its users to serve their own purposes. In the case of college students, these purposes include cementing group identity and opposing authority. 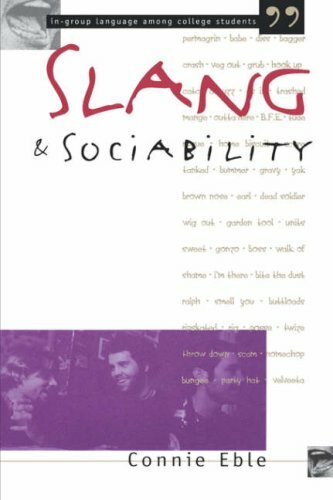 The book includes a glossary of the more than 1,000 slang words and phrases discussed in the text, as well as a list of the 40 most enduring terms since 1972. Connie Eble, professor of English at the University of North Carolina at Chapel Hill, is author of College Slang 101.